Until recently, drones were expensive novelty toys only a handful of people could afford. Recent developments in drone technology have made these tiny marvels widely available and much more affordable. You may have even received one as a Christmas gift! While some cheaper drone models may be only a step above a remote controlled helicopter, drone technology is only improving with time. Many models now come with a built-in camera or a frame to mount one, giving the operator a magnificent view of his surroundings. People have taken advantage of the camera feature and used drones to film weddings, survey property, fly over buildings, perform search-and-rescue, and see perspectives previously only visible from helicopters. Aerial photography: Record high-quality images and video of birthday parties, camping trips, and other family events, encouraging students to spend more time outside and chronicle their adventures. The raw footage then opens the door to learning skills such as video editing, captioning, use of YouTube and building a social media audience. Agriculture: Farmers are beginning to use drone cameras to monitor crop growth and health. Use your drone to keep an eye on your garden from a bug’s-eye view. Who knows, maybe it will even keep the birds off the corn. Business: While there’s certainly plenty of fun to be had playing with a drone camera, it’s also a business opportunity. Turn that drone into a small business venture, photographing weddings, concerts, sports games and other special events. Drones used for business must meet certain requirements under Texas law, and the operator must be at least 16, pass a test and register the drone. Making some money with that drone could lead to a larger interest in entrepreneurship and membership in Future Business Leaders of America. Check out Texas’ virtual chapter, open to homeschoolers. Obstacle courses: Design your own drone obstacle course to hone drone operator skills, like a student from Savannah College of Art and Design did in this video. Race your friends and see who beats the obstacle course first! Math and Physics: A Thailand school created a fascinating math lesson using drones, requiring students to graph the drone’s travel on the X and Y axes. Students can also calculate their drone’s speed flying into the wind and against the wind, then fly the drone to test their answers. Hand-eye coordination: Flying a drone takes a steady hand and focused attention, good practice for other important areas of life—like video games! (Just kidding.) Drone operation may well be a skill to include on one’s resume by the time your junior-high student graduates! 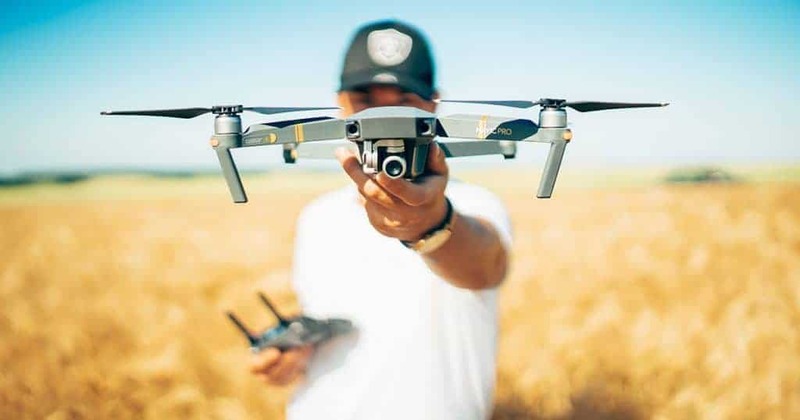 Technology, Product Design and Engineering: This may seem like a no-brainer since flying a drone inevitably means interacting with technology. But if some homeschoolers want to take things up a notch, they can build their own drone! Kits usually average around $100-$150, but will likely become cheaper as drones increase in popularity. Programming and coding: Programs such as the Tynker app allow students to program and fly drones from a tablet or mobile phone using simple coding lessons. STEM: The possibilities for STEM and drones are simply endless. One good place to start is FliteTest’s STEM curriculum, accessible with a 30-day free trial for teachers and free registration for students. Art and creativity: Drones’ versatile nature allows operators to attach tools, lights and even paintbrushes to their undersides, opening a whole new world of artwork. Drones have also been used to build structures such as rope bridges using mounted cable dispensers, and even to perform light shows. Amazon also carries a variety of books, such as “DIY Drones for the Evil Genius” and “Livin’ the Drone Life,” with more ideas on building and using drones. Despite the growing popularity and educational potential of drones, American aircraft law has struggled to keep up. Legislation on unmanned aircraft is still developing in many parts of the country. Texas already has reasonably well-established laws governing drone usage. Privately owned drones used for non-commercial purposes do not have to be registered. Only commercial drones must be registered. Drones that weigh more than 55 lbs are illegal. Do not fly your drone higher than 400 feet (to avoid airplanes and other air traffic). Do not fly the drone out of the operator’s line of sight. Do not use a drone camera to spy on or take pictures of another person without their permission, or to invade or conduct surveillance on private property. Do not fly within five miles of airports or government property such as the NASA property in Houston. Visit DroneU for simple online lessons on drone piloting and applicable laws for any drone enthusiast. As drones become more popular, educational opportunities involving drones will continue to increase. Homeschooling parents can take advantage of these technological innovations and find unique ways to introduce science, math, creativity and more into their school day.